Welcome to our Maserati of Cleveland Service Center in Middleburg Heights, OH. We are proud of our modern facilities, high-quality equipment and certified professionals who care for your vehicle. The mission of our expert technicians is to keep your vehicle operating at its best. Whether its scheduled service, a parts replacement, new tires, or collision repair, our Service Center is committed to serving you quickly and efficiently so that you can get on with your busy schedule. Maintenance costs are quite modest compared to repair expenses. Proper maintenance extends your car’s life, prevents small problems from mushrooming, protects your warranty, and minimizes the overall cost of ownership. 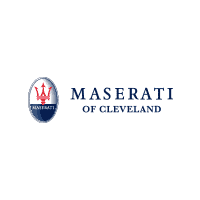 Check out the Maserati of Cleveland Service and Parts Specials. The deals change over time, but we always offer specials that save you money on parts and labor. We also offer deals on car detailing to keep your car looking great. We sell tires, radar detectors, and many other items help ensure maximum enjoyment of your high-performance car. Whatever your automotive needs, we invite you to visit our Middleburg Heights, OH Service Center. You’ll find our competitive prices and quick, expert service the winning combination to keep you and your vehicle happy. Please use the buttons below to schedule service at our dealership or contact our Service Department. You can also call us at 216-553-4885.